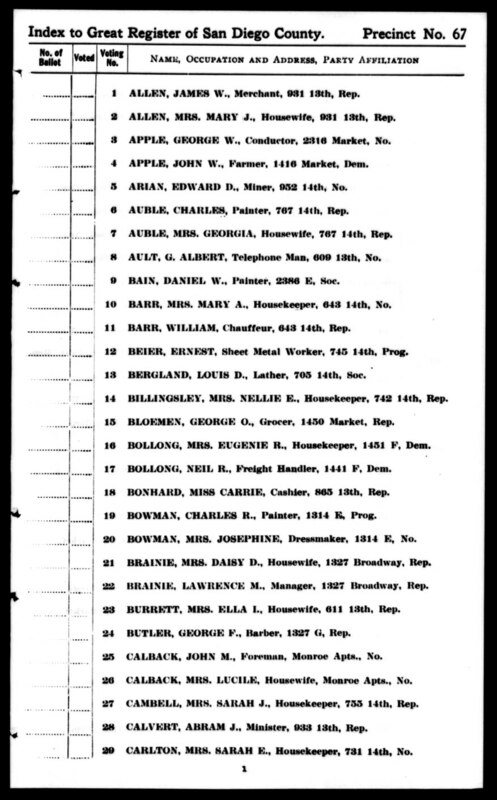 "California Voter Registers, 1900-1968," digital images, Ancestry.com (http://www.ancestry.com) 1924, San Diego County, San Diego, Precinct No. 65, page 10, Abbie A. Smith entry. 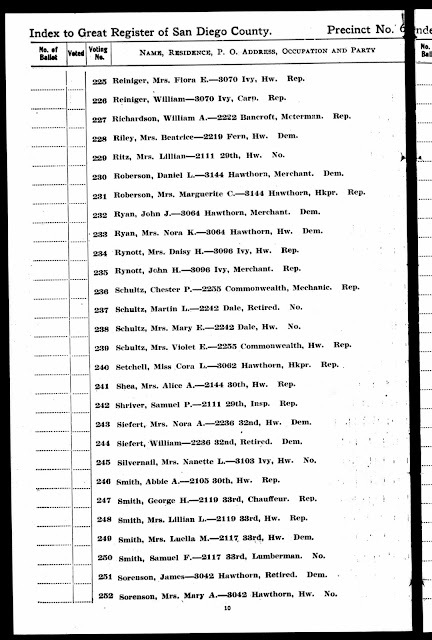 Abbie A. Smith was residing at 2105 30th Street in San Diego with Austin and Della (Smith) Carringer (my great-grandparents) and their son, Lyle L. Carringer (my grandfather). 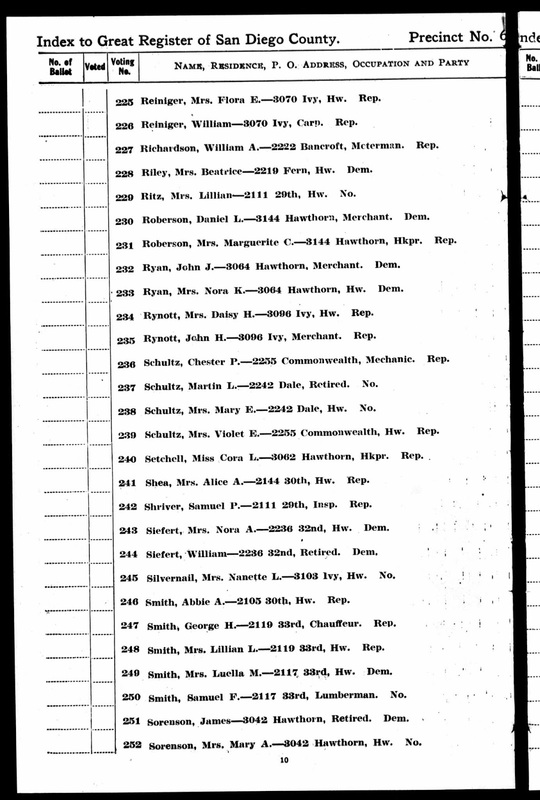 Abbie was Della's mother and age 80 in 1924. She was the widow of Devier James Lamphear Smith (1839-1894). In this record, Abbie does housework and is registered in the Republican Party.